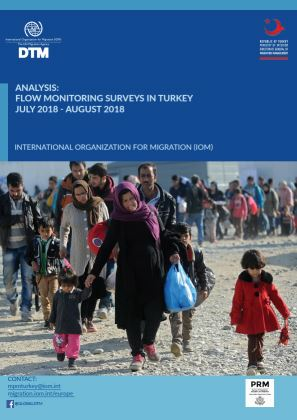 According to the latest available figures from the Turkish Directorate General for Migration Management (DGMM) currently there are more than 3,9 mil. 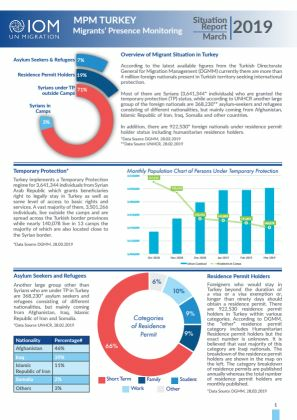 foreign nationals preset in Turkish territory seeking international protection. 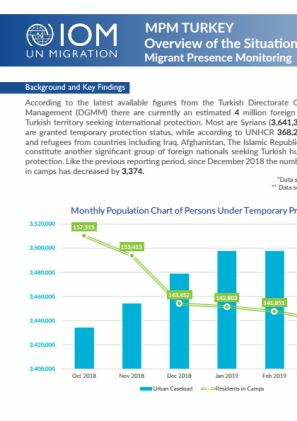 Majority are Syrian nationals (3,622,366) who are granted the temporary protection (TP) status living in urban areas (3,478,914) and in the Government run camps for peopole under TP (143,452). In addition, there are 853,274 nationals under residence permit holder status including humanitarian residence holders. Turkish Armed Forces (TAF) registered a totoal of 16,744 irregular border crossings (14,554 on entry and 2,190 on exit from the country).